Jim Hagstrom (Cody, WY) has a unique and nonrestrictive style in composition using both the palette knife and brush. Jim loves to venture out of his studio and into nature to investigate and capture the effects of sunlight at different times on a subject. The changing light, cold and heat, blowing dirt, leaves, and flying bugs all add to the emotion, energy, and texture of his paintings. Through the years his art has been shown in various galleries in Wyoming, New Mexico, Montana, Arizona, Colorado, Idaho, and Virginia. 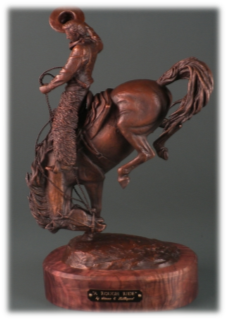 Throughout his career, his work has received several awards and has been displayed in nationally-known magazines (Western Horseman, Cowboys and Indians, and Southwest Art). Currently Jim's work is showing in five galleries.